I Would Like to Thank the Academy…….. More Awards, me? Wow! I have been awarded three more awards from my fellow bloggers. Can you believe it? Me, who never won anything in her life, got three awards in two weeks. It brings my total up to five blog awards in the past couple of months. I receive another Reader Appreciation Award, Yep that makes two from Thoughts from an American Woman. I received The Lovely Blog Award from From a Montana Proch. I am honored that you all thought I was worthy enough to pass these awards on to me. I am humbled. To accept the award first you have to link the person who nominated you as done above and again below. Stop by and check out their blogs. The second things is display the award Logo’s on your blog, check! Next answer some questions…….. Favorite Number: 7 or 16. I studied numerology for a while and 16 (which break down to a 7) is the spiritual number. Favorite Non-Alcoholic Drink: (I do not drink alcohol) Sweet Tea. I learned how to surf when I was a teenager and use to ditch high school and hitchhike to the beach, which was about an hour away. I was a total bleached by the sun, blonde surfer girl. Then jaws came out and I got hurt one time so I hung up the board. I believe in ghosts, I have seen and heard one. I also believe in angels, fairies, leprechauns, oh and Santa Clause and the Easter bunny. Now I need to nominate others. High Flight- Bill Duff– was a World War II Pilot. As one of “The Greatest Generation,” I thank him for sharing his story and allowing us to learn from him. I nominate him for the Readers Appreciation Award. Al’s War: One Man’s journey Through World War II– Al’s step-daughter honors her step-father who served in WWII. I nominate you for the Reader’s Appreciation Award. MASAKO AND SPAM MUSUBI– a Son’s writing about his father’s WWII experiences and other stuff. I nominate you for the Reader’s Appreciation. The way you tell your father’s story is beautiful and I am honored to be able to share it with you. The Life of a Phoenix-This young lady captured my heart through her journey in today’s military. 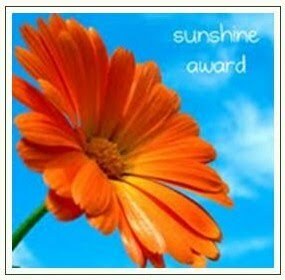 I nominate you for the Sunshine Award. I hope it brings a little sunshine into your life. Market Lavington Museum Blog-I love museums and I love this blog. I have no idea where Market Lavington Museum is, but it does not matter I love following this blog. For you the Lovely Award! theleansubmariner– Mr. Mac shares a lot of great stories about military life. He wrote a book about his father and has done a couple of posts about “Butch’s” time in WWII. I love his blog. For you, Mr. Mac I bestow the Reader Appreciation Award. Russel Ray Photo’s– Besides beautiful pictures Russel Ray wrote a beautiful post about people who use bad words in their blog names. I could not have said it better. 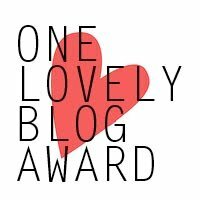 For you I bestow the Lovely Blog Award. The Scottie Chronicles– This little Scottie is afraid of thunder and loud booms. His person has purchased one of those “Thunder Shirts” we have all seen on TV. He (I think he is a he?) has had it a short time and with me you can follow to see if it actually works. If it does I am going to buy one! Please let it work! 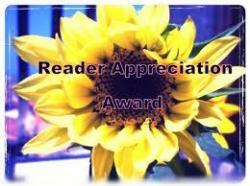 For you The Scottie Chronicles, I pass on the Reader Appreciation Award! Thank for blazing unknown territory. I know it is uncomfortable at first but if it works it will all be worth it. You all make blogging fun and interesting! You don’t have to accept the award if you don’t want to but I just want you to know I for one am reading your blogs and I thank you for keeping my life interesting. It is kind of like reading living books here and how awesome is that. Thanks once again to the following bloggers, Thoughts From an American Woman, From a Montana Proch and Denobears for the awards, you remind me why I write. I know huh? I am so lucky! Congratulations! A very deserving award – and thank-you so much for the nomination! How very kind. Thank you much! I am honored. Congratulations! You have a very inspiring blog! Thank you for the nomination and congrats on your great work! A belated Happy Father’s Day to you as well since I know much of your life’s love and efforts are related to his unique stories. You have my highest appreciation and my respect! And thank you for opening up on your blog. We must preserve the past! Congratulations. 🙂 You can add another One Lovely Blog award to your collection. Congrats to you! Well deserved. Thank you so much! It really means a lot to hear it from others. I could not believe it! But I am humbled. Congratulations on your awards and thank you so much for nominating me for the Lovely Award. I am just amazed! I’m reading the instructions to see what I do here. You aren’t lucky; you’re very good at what you are doing. Bravo Nancy! Thank you so much. I have a saying around here that each compliment I get is like a hug, so thanks for the hug! It was really needed today. I am up to my elbows in letters. He is going into a lot of detail on the training he is doing. But I am thankfully three chapters ahead of you. Thanks again! Congrats, I enjoy so much the joy of others, you appear to be a sensitive heartfelt person………..keep it up!! !